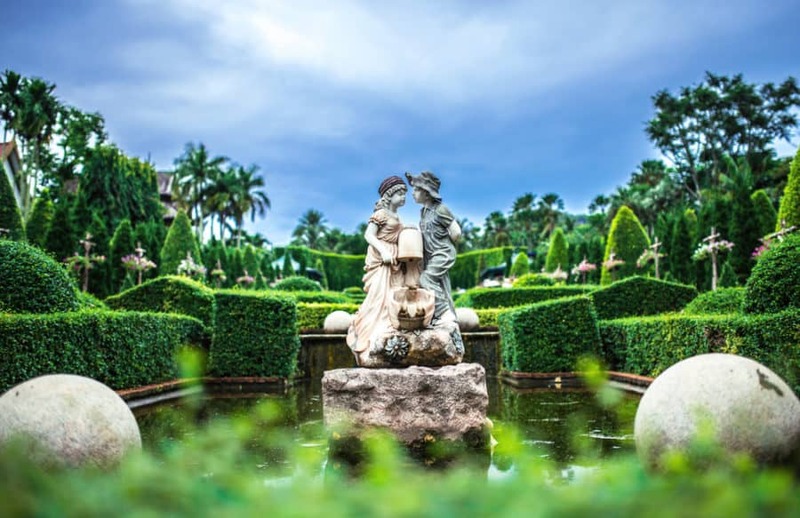 From their lively flowers and rich colors to their gravel walkways and hedge mazes, gardens are simply captivating. Though the flora creates a sense of beauty all their own, adding a garden sculpture can truly intensify the appearance of a garden. In this article, we’ve compiled 21 of our favorite garden sculpture ideas to turn your already-lovely garden into an artistic masterpiece. 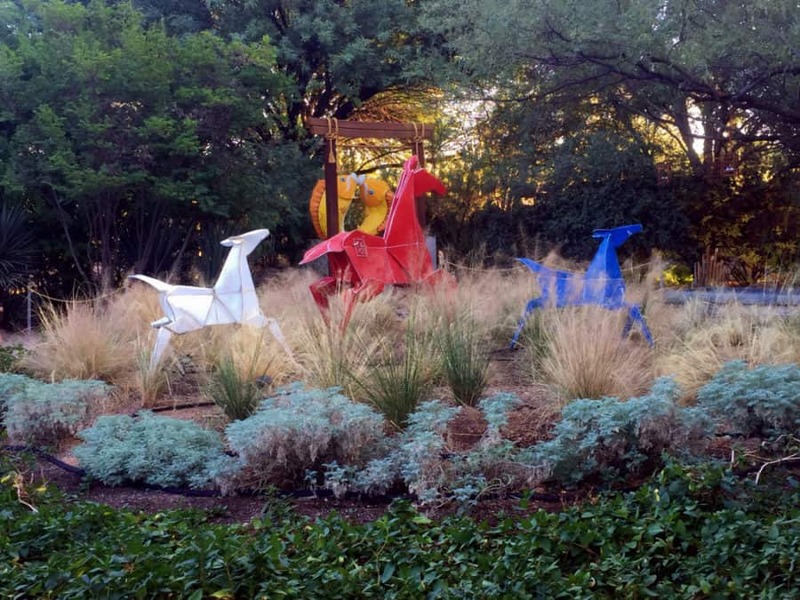 The origami-style sculpture horses in the garden above create a traditional Japanese aura. The sharp folds in the metal and bright colors add stark detail to the natural surroundings and make a wonderful addition to an otherwise muted garden. 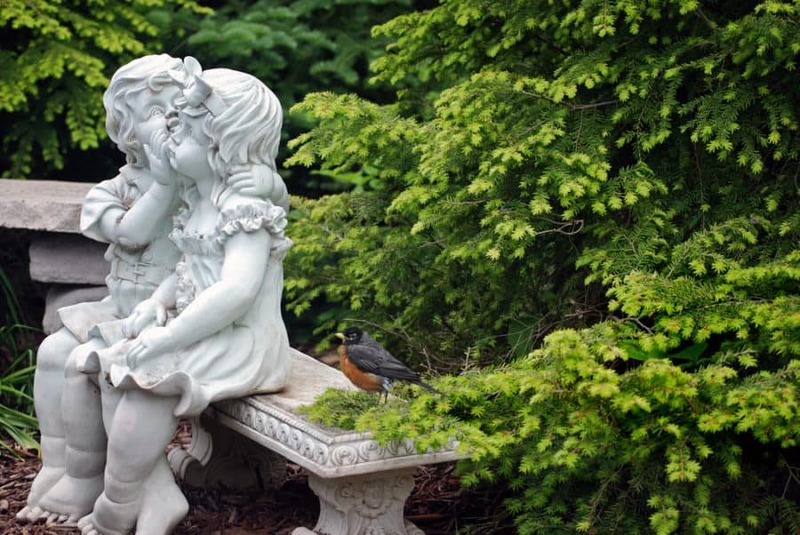 One of the most classic sculptures for a garden is the angel stone sculpture. Angel sculptures have been present in gardens for centuries and are known for creating a solemn, peaceful atmosphere wherever they’re placed. 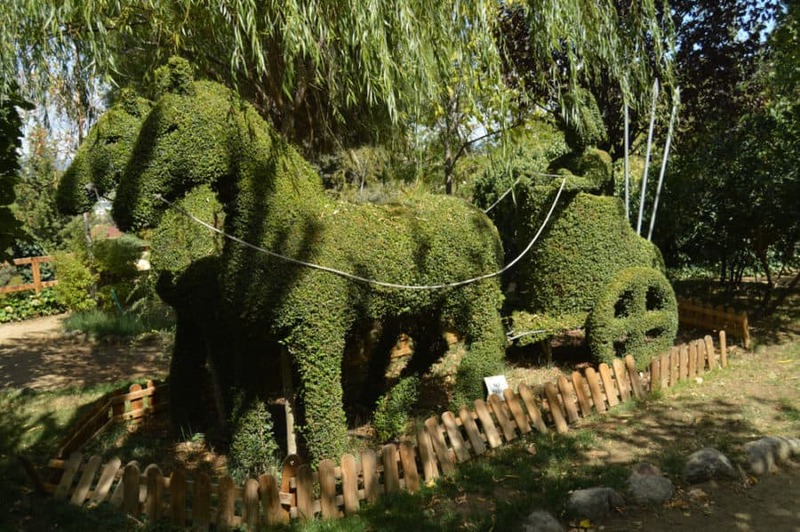 Yet another of the most classic garden sculptures, wildlife sculptures depicting forest animals is a common and beloved sight among garden scenery. 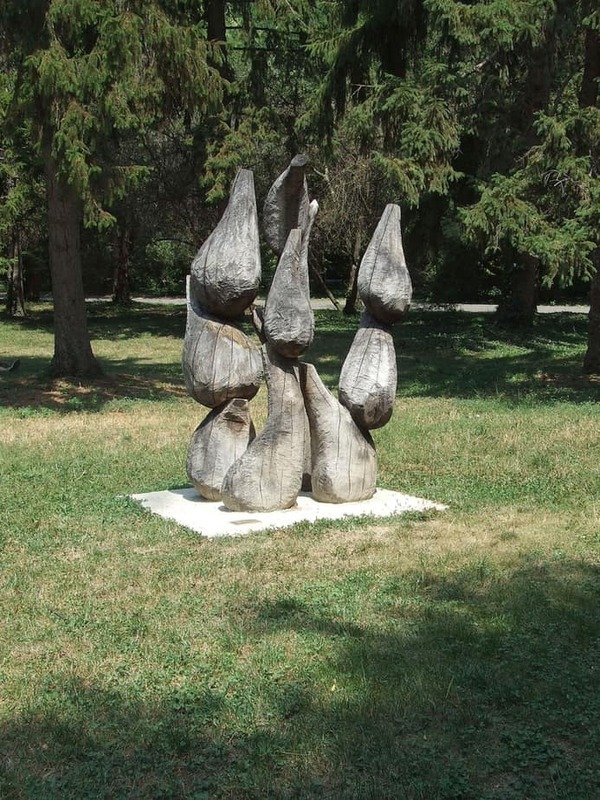 These sculptures usually consist of rabbits (similar to in the photo), turtles, foxes, and deer. They popularly evoke a sense of serenity and childhood curiosity and are quaint additions to, especially, vibrant flower gardens. You likely remember these little sculptures from your grandmother’s flower garden bed. The children on a bench sculpture bring the admirer back to their youth, contemplating their childhoods and bringing whispers of innocence to the garden they sit in. An ordinary sight on estates, lion sculptures kindle a sense of wealth and dignity. Their demanding and fierce appearance is perfect for the garden of those who enjoy the finer things in life. 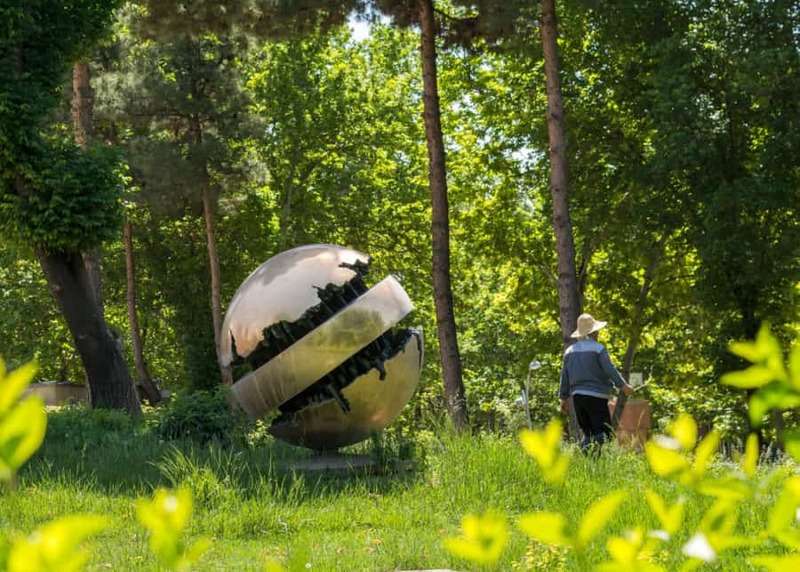 Becoming a trend in our modern era, sphere sculptures add a worldly aura to gardens, encouraging a sense of simpleness. They’re often made of a single material and color, with a central striking feature (like the exaggerated crack in the center of the sphere in the photo). Abstract sculptures are often symbolic of a nonrepresentational idea, emotion, or occurrence. They usually have no outwardly obvious message or structure – whatever you see is what the sculpture essentially is. These sculptures are perfect for the garden of an eccentric. Sculptures cut out of hedges are an innovative way to transform your overgrown plantlife into works of art. Your imagination is the limit with this type of sculpture. This fiery garden feature is not only interesting, but it brings an aura of untamed color and direction to this garden. The massive scale of this type of glass sculpture is perfect for when you want to make a bold statement in your garden areas. Dainty snails are usually a welcomed sight, and their spiraled shells and unhurried attitudes bring a peaceful life to gardens (even though they may chew on a few of your plants). These colorful snail shell sculptures imitate the pure curiosity that snails bring to us, and are a perfect way to liven up your yard with vivid shades of blues, reds, and greens. As you may have noticed, these giant, beautiful floral hearts are made using a metal heart-shaped outline that holds potted flowers in place. This sculpture truly evokes a sense of love and charm with its hundreds of elegantly-colored petals and (surely) sweet scent. The scattered appearance of this ceramic garden sculpture is a customary piece of art seen in primarily Hispanic countries. The artistic culture of Hispanic people is often bright, colorful, and abstract. Sculptures such as the one in the photo are sure to add a lovely Spanish air to your garden. If you’re someone who’d like to have their garden noticeable, even after dark, then light sculptures may be a perfect addition to your flower beds. The three large, cutesy luminescent sunflowers and bees would make any garden look like it came straight out of an imaginative children’s book. 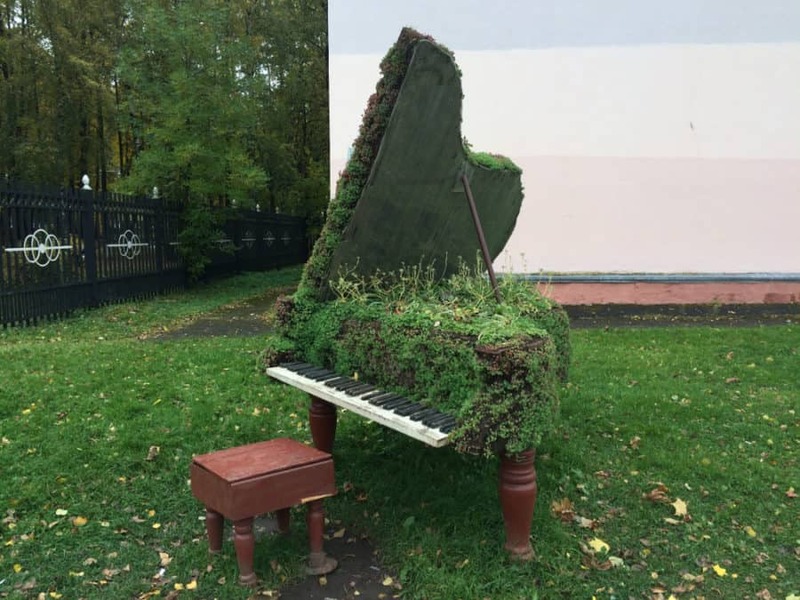 This garden sculpture (and plant bed) was made to look like a piano. Though you can’t interact with it, this type of sculpture would be suitable for those who find joy in the art of classical music. If you have the appropriate funds to have your own bust sculpture created, or buy an already-sculpted bust, these sculptures are the epitome of Roman and Greek garden art. The classic appearance of marble humanoids is unmatched by any other and is sure to create an air of magnificence and enhance the sophistication of your garden. 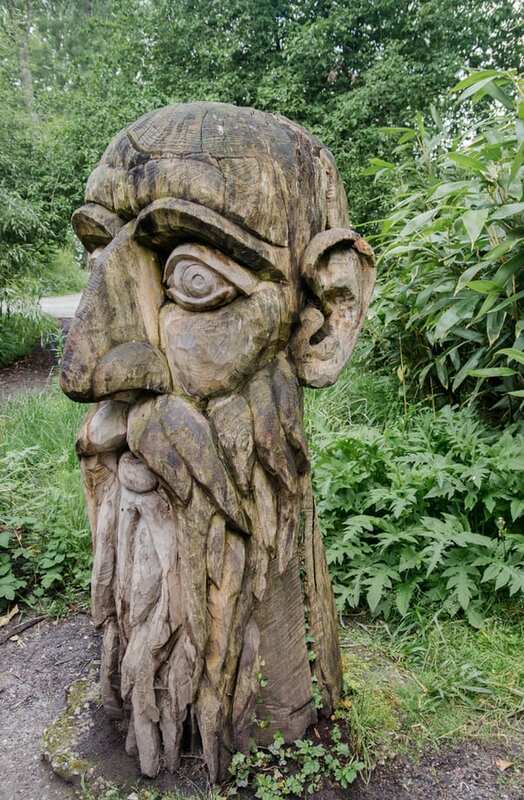 Whether you have tree stumps lying around your property or you simply enjoy a more earthy garden appearance, sculptures carved out of wood are an intriguing and wonderfully vintage addition to any garden. Wood is incredibly versatile – able to be carved, burned, and splintered to bring to life practically any artistic expression you could have imagined. 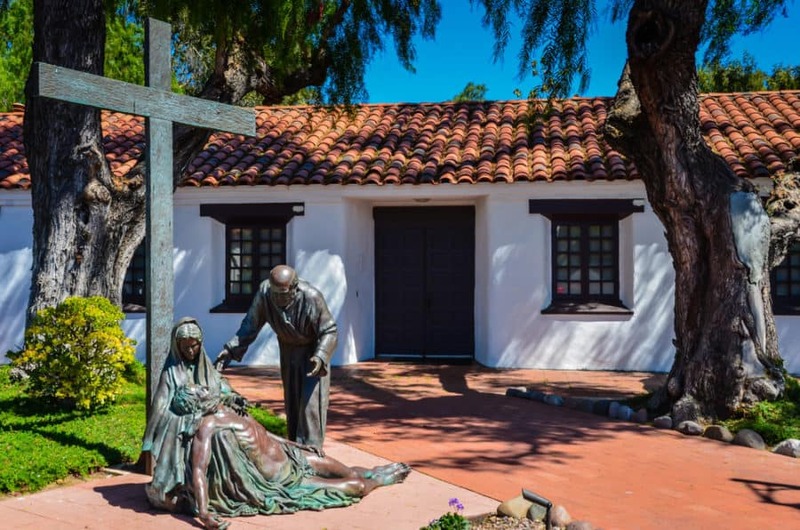 For those who wish to make a proclamation of their beliefs, religious sculptures are a terrific way to quietly share one’s faith. They often depict integral religious occurrences, such as the crucifixion of Jesus in the photo above. Though odd, gargoyles are often seen in the gardens (or on the roofs of buildings) of gothic properties. They’re known for surrounding gardens with a medieval, archaic aura that often brings a dreary mood. Biomorphic garden sculptures are meant to suggest the form of a living creature without being too obvious. They’re great for the garden of the abstract-minded and will put your guests in a state of wonder, using their imaginations to conclude the animal being depicted. 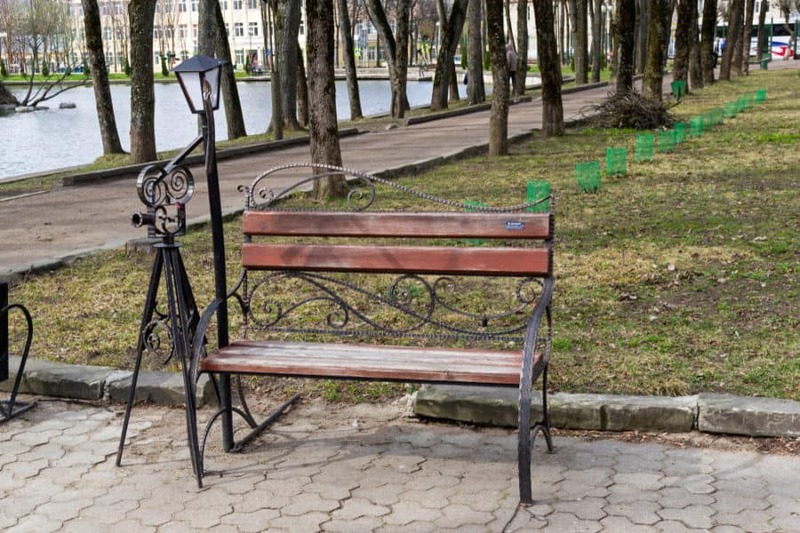 Not only are bench sculptures practical for your garden, but they’re also unique and fun, bringing a feeling of lightheartedness to your garden. Bench sculptures, similar to in the photo, often depict human-like characters doing an action that you would find actual people doing day-to-day. Such as holding their child’s hand, taking a photo, or reading the newspaper. Sculptures that cover a walkway, like the colorful caterpillar face in the photo, are an amusing way to interact with your garden. They can be fun and striking for the enjoyment of children, or intricate with muted colors for the more refined garden walkway. Either way, your imagination is the limit with sculptures like these. Even though gardens are naturally beautiful, adding garden sculptures opens up a whole other world to artistic expression in your garden beds. They’re wonderful for evoking a variety of emotions, imagination, and enjoyment; and they’re sure to make your garden more lively. We hope you enjoyed this list of our 21 favorite garden sculpture ideas! Interested in backyard design? Check out our Fire Pit Ideas, Rope Light Ideas, Enclosed Patio Ideas, Landscape Border Ideas, Goat Fence Ideas, and White Picket Fence Ideas articles!